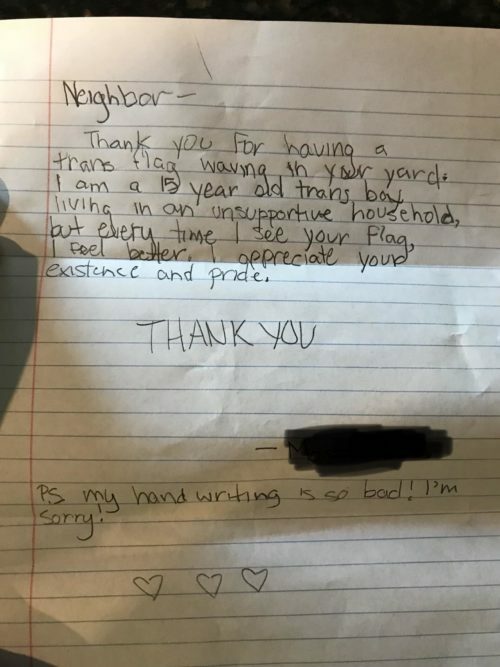 A trans boy in Utah left a heart-warming note for a neighbor and reminded us all that LGBTQ pride and visibility can mean a lot, even to people we’ve never met. A trans woman named Audrey, who lives in Salt Lake City, flies the trans flag in front of her home. Thank you for having a trans flag waving in your yard. 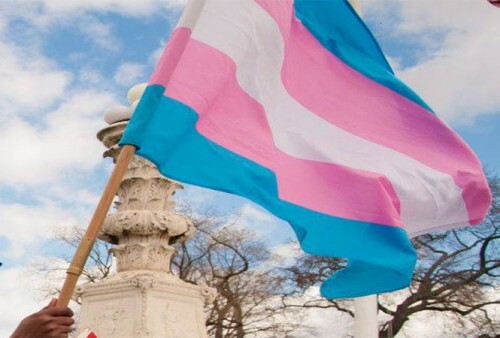 I am a 15 year old trans boy living in an unsupportive household, but every time I see your flag, I feel better. I appreciate your existence and pride. P.S. my handwriting is so bad! I’m sorry! “I felt crushed that this teenager isn’t getting the support that they deserve, but I also felt truly inspired by them,” Audry told PinkNews. She said that her friends and family are supportive of her.